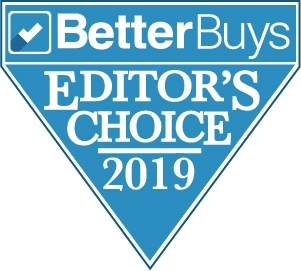 LONG BEACH, Calif. – March 20, 2019 – Epson America, the number-one selling scanner brand in the U.S. and Canada1, today announced that Better Buys, the leading independent office equipment buyer’s guide, awarded its newest commercial document scanners with Editor’s Choice certifications. The DS-970 and DS-870 duplex workgroup document scanners were recognized in the “High-Volume Machines” category while the DS-80W and DS-70 portable mobile document scanners were recognized in the “Scanners” category. The Epson DS-70 (MSRP $129), DS-80W (MSRP $199), DS-970 (MSRP $1,499), and DS-870 (MSRP $999) are available through authorized CaptureProSM resellers. All scanners include a three-year limited warranty with Next-Business-Day Replacement8. For more information on the Epson’s commercial document scanners, visit https://epson.com/document-scanners-for-business. After more than 20 years as a trusted authority on office equipment, Better Buys is a software resource site dedicated to helping companies in the market for various business software, such as Business Intelligence, Human Resource Management Systems (HRMS), Enterprise Resource Planning (ERP) systems and Learning Management Systems (LMS), as well as printers, copiers, and scanners. Leveraging an experienced team of in-house editors, Better Buys offers a range of content and resources designed to help organizations make smarter purchasing decisions, including expert reviews, authoritative whitepapers & reports, insightful market research, comprehensive buyer’s guides, and more. For more information, visit betterbuys.com.